Ever heard of the beauty product brand called Sea of Spa? How about Origani or Organi? I didn't know about these either until I purchased them. 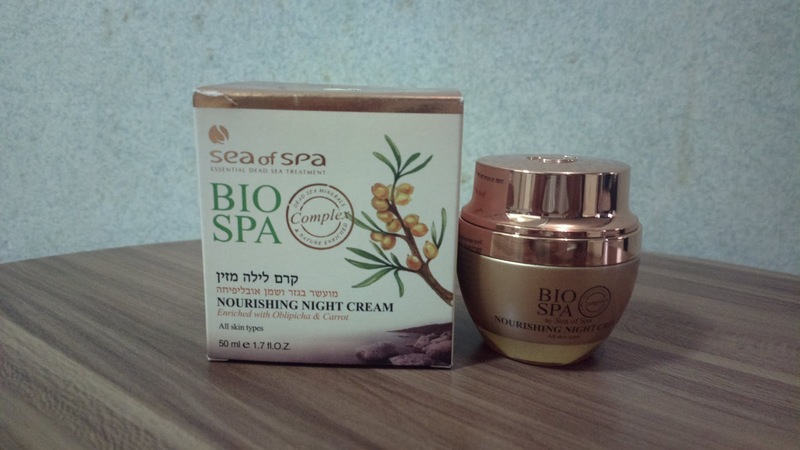 I've searched online and discovered that the former is a Jewish based beauty company that's recently offering their products in the Philippines in a shop called Black Pearl. The same store is also offering products from Organi or Origani of Australia. Both beauty lines offer products made from natural ingredients. But they are VERY expensive. I initially thought that it may be because the items were shipped from overseas but the actual price from the country where they came from are still pricey. There was even a line (dubbed Gold or Cleopatra or something between those lines) which costs 500,000 pesos! What's even more shocking is that I was at that store when a customer went to pick her set from this half a million worth line! Anyway, I did promise the lovely lady who assisted me that I will write a review about their products which I actually purchased late last year (around late October I think) yet I only got to write about it now. Sadly, it won't be very promotional as she may have expected. I apologize in advance. I'll start with the first one I ever got to try from the set. This is supposedly the only one I intended to buy, being the cheapest in the bunch (around 5k - still very costly but payment was at least distributed in 3 monthly installments). I forgot my card at their shop after I purchased this. One of the sales clerk who assisted me contacted me about it. Their team leader offered more items with a lot of discounts when I came back the next day to retrieve the card. I'd like to commend them for their honesty by the way. 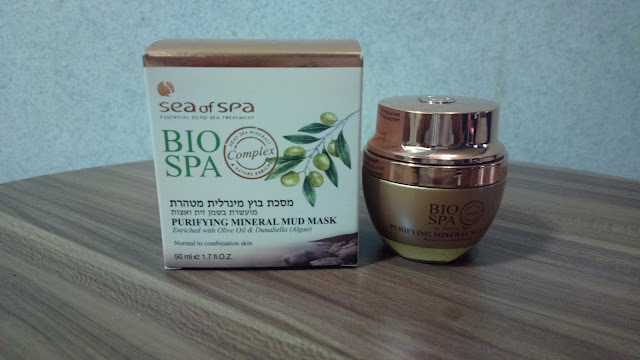 So about the mask, it contains olive oil, dunaliella alga extract, and more. It is used for cleansing and purifying. I did enjoy using it. It looks like tariff and customs fees are passed on to buyers (since it's from abroad) because this is way too expensive (amplified by about 4 times the original price). Its aim is to lessen wrinkles (not that I have any yet) and to tone skin. I enjoyed the velvety texture of this cream. Unlike the first two above which originated from Israel, this one's from Australia but the same local shop sells it. 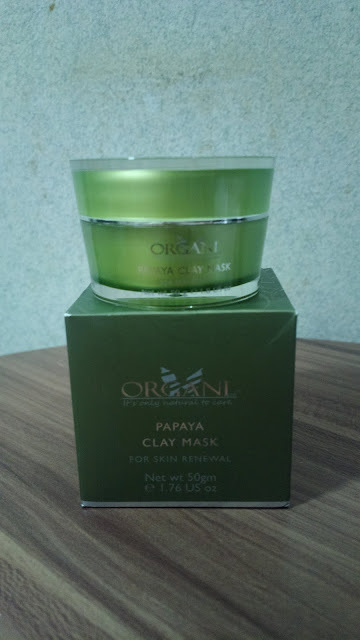 It purpose is supposedly to remove outer dead skin cells. It also a nature based mask like the first item on this list. I enjoyed this more than the mud mask though. It's soothing, particularly after a tiring day with all the dust, dirt, and sun. The Glamglow Supermud Clearing Treatment is literally more super though and is more affordable. This is the last one I got to use from the set but was actually advised to be used alongside the papaya mask. It contains vitamin C, bear berry, and licorice. It works against sun spots and age spots. It's also sealed with an Australian Organic Certified Processor with no animal testing done and is 100% naturally derived. This was given for free as an add on. The same applies to the eye cream sachets (see feature image above) and the free facial vouchers (which I did not use anymore because they may offer me additional products if I go back). Thank you for the discounts and freebies nonetheless along with free skincare regimen advice such as refrigerating beauty products upon opening the package to make them last longer and preserve the effectiveness. And yes, the soap is indeed replenishing as the product name suggests. All in all, the set costs almost 25k (with the first one in 3 installments and the rest payable within 6 months). While these are luxurious and you'd really feel like royalty while using them, it's definitely not worth it. You can easily buy an alternative brand with the same type of product for a cheaper cost. Prices doesn't guarantee effectiveness either. While these are really pampering in general, they don't actually provide noticeable results. I went against advice of using them sparingly in order to last them for months. I used them generously instead just so I can consume everything faster. The result? Similar to my statement above - that cheaper products are far better in terms of effect. So in conclusion, your money is better off used elsewhere unless you are like the lady I mentioned at the intro who can afford a 500k beauty regimen set. As for me, I regretted this a lot and swear to never be talked into buying anything similar ever again. A fellow buyer contacted me through Twitter about his concerns over this local distributor company. He graciously allowed me to use the photos he shared and his story as well, albeit anonymously. Like all others, including those who posted comments below, he was wary of the possibility that he had been scammed. But like I always say, I've seen that the items were indeed legit and the prices were within justifiable re-seller range compared with the original brands sold online. We just agreed that the marketing technique used is what's shady. It's notable that they push products, particularly expensive ones you don't really need since it's not related to your skincare concern. Considering the price of such items too, the supposed free products are but loose change. This guy I had a chat with originally intended to buy just one item which was perfect for his needs (the Pomegranate Facial Peel above for breakouts). But whoever assisted him encouraged the purchase of more costly options which he won't be needing much anytime soon (like anti-ageing regimen). While there are numerous freebies including a VIP card for free facials with RF slimming sessions, the total cost of what he paid for may not be worth it since he doesn't plan to use some of the items and services. He'll be paying around 5k per month next year for the total 60k bill (Philippine peso). Another previous buyer approached me on Twitter recently and allowed me to use the photos for this post. Based on her statement and on more recent comments below, it looks like the original price of the items are actually cheaper. The Black Pearl brand is what's expensive, not Sea of Spa; although I'm wondering why they have the bag with that logo. Some of the previous buyers have also started a Facebook group (https://www.facebook.com/groups/1754010211584234) and initiated DTI (Department of Trade and Industry) mediation. Join the group or contact everyone active if you're interested in joining a class suit action they were planning to organize. As of August 2017, the Facebook support group for complaints is no longer available. I almost buy it yesterday dahil sa convincing power nung team lead nila and dahil sa price I am thinking super noticeable result nya. Buti nalang I was able to read your blog. I think magaling lang talaga ang sales skills nung team lead nila. Too bad, hindi kasing galing nung products nila. Is it a scam? How many free vouchers they gave you? Oh, I received numerous freebies like the soaps, the samples, and vouchers which are supposedly good for several spa visits but I never used them. It's not really a scam. Their products are just too expensive. Good thing nga, yours was only 25k. I lashed out twice the amount. Although, they did give me a lot of freebies talaga. Siguro, if ittotal ko yun lahat ng binigay, nasa 100k sya. Kaya lang, yun nga. Mahal. So expensive. I regret it really. But I guess I'll just make the most out of it. And yes, it's not really a scam. Just really, really way too expensive. That cash could have bought numerous drugstore cosmetic brands or even branded ones that are far less expensive. 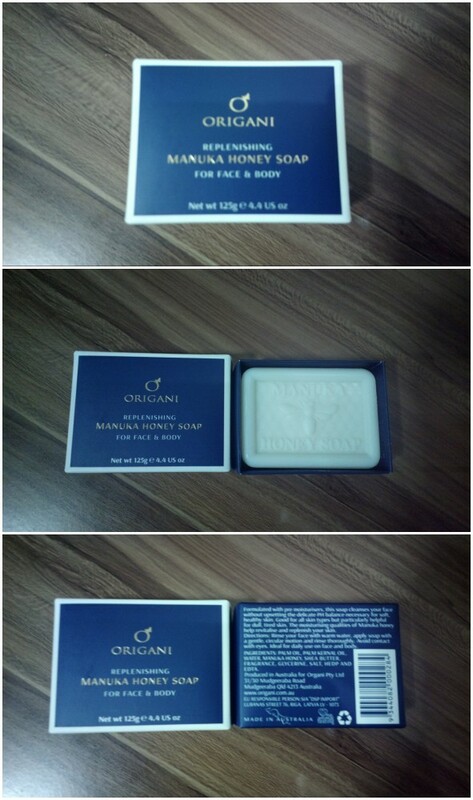 When the team leader demonstrated their product to me I got offered 4k for the origani mask, day cream, and the honey soap. Kahit malaki yung discount na binigay sakin di ko pa rin kinuha kasi it's still expensive. Though I am really tempted to accept the offer given to me it's still to expensive for me. Yes. It's really expensive compared pa sa mga tried & tested known brands. Good choice that you didn't take it. January 2 at SM north very convincing sila specially the foreigner owner (sabi ng 2 sale ladies) they are very good, after i decide not to buy because of the expensive price, the foreigner lady get the small brochure to me (she was rude to me)although they start the price from 14k the 6700 then 3750 then 3k. actually i'am not decided talaga but they still insisting it, so i just listen at answer if they are asking some question and offering to me. the 2 filipino is ok but the owner was rude. Dito rin ako na isahan sa SM North EDSA hindi ka talaga nila bibitawan hanggang di ka bumibili. Di ko naman masyadong nagamit ang products na expired lang 29k din binayaran ko sa kanila. I got scammed and tried forwarding the concern sa FTEB Mediation. Grabe sila. They will insist that it was an issue on the change of mind when in fact, they scammed me into buying their product. Malapit ko nang i-forward ito as a class-action suit against their marketing tactics. DTI? If you ever decide to do so, let us know what happens. I think sa dami ng nag-comment dito, baka may sumama sayo. Yes, i think so. Should we ask the help of DTI? Somewhat i was able to "half" refused their offer, and spend 39.4k for those seemingly good products. But the israeli lady literally have hold me on not to go. I think iwastoo patient and have not managed to shout. Yes maam next week, ill be making a formal complaint sa dti. May exam pa po kasi ako bukas. It is the only way that we can help stop them from taking advantage pa yong kapwa natin pilipino. It not anti semitic, but i know starting to believe, why most of their kind belongs to the top of billionares (forbes).. Yes, i was too polite. Sadly. I hope i can ask help from you guys.. class lawsuit? May nag-post po about a class law suit in the comments above. Maybe you can get in contact with them. I have no idea if these sales methods/practices are locally allowed in Philippine laws. It's best to check. I have the second FTEB Mediation with them today. After not calling me for almost 3 months, they had the CC company charge back all the good to me kasi nasa akin pa raw. Mind you, they refused to accept the goods back kasi daw di pa tapos ang kaso, but they alleged to the CC company that the goods are in my possession. Grabe talaga. Pwede pa nila gawin yun sa credit card provider? Medyo technicality na ito. I hope you have a good lawyer or know someone whose knowledgeable sa commerce laws. During the first mediation, they offered to give me 50% of the 160k. Sabi ko no. I can no longer afford it. I told them that the reason why I was complaining is because of their misleading marketing strategy. At that time, all the products are with me. I told them that I want to return it. Sabi nila after we settled. Pero lumipas ang New Year there was no reply from them, even after my assistant tried calling the office. Then they claimed sa CC na since nasa akin pa rin daw ang product, they have to charge me. Deceptive, di ba? Just an update: They failed to show up sa mediation, in which this os now escalated to adjudication of DTI. They advised that if you want to file a complaint, we do it now to be considered as a class action. Whatever you decide to do po Ma'am, good luck. I hope this ends in your favor. How about a Facebook page? Para makita ng lahat pag naka-set sa Public. Yung group kasi limited lang makakakita unless naka-set to Public view din. I prefer the group page. Kasi kung FB Page they can take it down. Sa Group page, they need to have permission to see the contents. I can also screen it for possible "spies". I am in the process of submitting the position paper to argue their marketing strategies. Based on the description laid out by DTI, they perfectly fit the deceptive marketing practice. I see. Good luck, should you pursue the case. 3 nuvali sta rosa.i ask for the security of the mall to have them recieve the products kasi ayaw kasi tanggapin nung mga staff lalo yung israeli girl.i called my bank to block my card and make a report na i-dispute ang purchase ko from them.by the way I made sure na I listed the products I return and made them sign. This happened to me today. Ako po huhu 79k sa sm bf nung feb 14. Sasama po ako sa class lawsuit para po marefund. Nagpm po ako sa fb nyo pam baluyo at nagjoin na rin sa group. Tulala ako literal sa mga nangyari. Naglalakad lang ako sa piazza sa venice papuntang fastfood nang bigla na lang sumulpot tong israeli girl na to. Magaling ang selling strategy nila. Too brave. Lalo na ang pinay na kasabwat. Alam ko 3k is nothing compared with the amounts posted here but its still hard earned money. Dami ng books yun. I don't know how i got talked into buying something na di ko naman binibili dati. Magaling sila. Magaling. Pasali sa group please. I want to know how it turned out for you girls. Miss pam? Nabiktima din ako nila habang naglalakad ako sa may greenbelt 5 pauwi..unfortunately napadaan ako sa stall nila and yun nga nacorner nila ako..i know 6700 is just a small bill compare to the amount you guys paid..but im supposed to buy something using that 6700.. now im returning the products and get back the money.. im so worried they wont acknowledge it..any help po? Hi. I would like to ask for any update about your petition Ms. Pam. I bought their product yesterday for 6,700. I know this amount is smaller than anyone else here but these are our hard-earned money. I am planning to return the products however, I used it once already. I'm afraid if they will not accept it. Pa add naman po sa facebook group. Kakabili ko lang po kahapon and gusto ko maibalik yung pera ko. 10k po ang nawala sa akin. Nakakalungkot. Usually, I really said no pero ewan ko lang kung bakit ako napapayag nila. Please add me to your facebook page. I want to return my hard earned money. Sana pinangpagamot ko na lang to sa mama ko. Kakabili ko lang po ng items kagabi. Katulad ng ginawa sa iba, ganun din yung strategy na ginawa sa akin. Thru CC po yung payment. Paano po ba ipareverse yun? 10k po ang nakuha sa akin. I was able to return the unused products and got a full refund. Yup may panloloko talaga. Part of the package was a VIP Card which they said will be honored in all branches nationwide, unlimited for 5 years plus I can bring friends or family. Services include free facial, spa or even massage. They made me believe that some branches have spa centers in major cities. NOW, they say my VIP card will not be honored in other branches except for that one where I bought the products BECAUSE THE RULES HAVE CHANGED. Oh, that's sad nga. Meron bang terms & conditions na kasama ng VIP card? Baka may naka-indicate dun about sa branch accepted. Minsan, mema lang sa mga sales agent para may mabenta pero hindi naman ganun. Is it true? I bought yesterday worth 25,000. Did I made the wrong decision? Depende sa items na nabili mo. Try to compare sa usual prices online. Dapat balikan mo po. Kunin mo na lang yung downpayment mo kung hindi ka talaga interested sa product nila. Worst product ever!!! Got Lots of break out on my face too sticky especially the Organi thing! Too expensive!!! Worst!!!! Ever!!! Never again! I'm not sure kung yan nga pero sa pagkakatanda ko, that's the one na sinabi nung sales clerk nila na kausap ko nun. The worst product!! Got lots of break out on my face, too sticky too expensive especially the organi! Worst! Never again never ever! Oh my!! Nakabili kami kahapon sa solenad 3, 6700 yung honey peel then 67,800 for the natural butox tapos may 5yrs free facial and 24 slimming sessions for 2. Ok na ba tong offer na to? I bought last night the honey peel for 6,700 sa solenad 3, then nung ginamit na namin yung free facial, ang dami ng inalok samin. We ended up buying the natural botox package for a total of 67,800 pero binigay samin ng 2package plus 5yrs free facial and 24slimming sessions for 2 din. Do you think its worth the price? Botox seems a good deal but I have no idea kung merong product na ganyan? I suggest you do your research. Make use of the VIP card freebies too para masulit mo. Yun na nga e. Parang natatakot na nga kami bumalik kasi baka kung anu ano na naman ialok samin. Pag nandun ka na kasi parang nawawalan talaga ng self control dahil sa strategy nila. Well aware naman ang mga bumibili based sa mga previous comments, pero very hypnotic ang paraan nila to persuade daw. Hi i also need help guys i think i was scammed too!! I bought their product for 70k yesterday! That is outrageous. So, pwede pala nilang gawin yun. Unfortunately, once na binili mo at the price na offered nila, you cannot complain and ask for a discount anymore as per law. BUT, you can complain for deceptive marketing practices, and this is what I am pursuing. I knew there was something fishy sa marketing strategy nila. Lakas makapressure! I'm not sure kung matutuwa ako or what dahil hindi lang pala ako nag-iisa sa nakapansin ng strategy nila. I had to do some research about their store kasi ramdam ko na parang may mali. Ang negative lang na nabasa ko is yung branch sa New Zealand. Tapos nakita ko tong blog na to. I feel you guys. I bought their peeling mask for 5k ata which I really wanted. May freebies na kasama. Tapos they offered free facial for the day. Sabi ko ayoko ng may humahawak sa face ko. Haha! Anyone has Infinity card? Yung free facial anytime and 50% discount on all products? Musta naman? i also got the same experience around november last year.nagsample lang sa kamay ko yung pinay sales lady tapos nung nicheck ko yung price ng mud mask,it's 4k.sabi ko mahal,tapos inoffer niya sa akin yung discounted price,2.4k.binili ko din.after nun,inoffer ako ng sample facial.pinay din yung nag-assist sa akin sa facial then dumating yung may-ari na pollish.natuwa siya kasi ang bilis nung effect ng product sa akin since i'm a type B+.ayun,nag-offer siya nung black pearl products with lots and lots of freebies.as long as gamitin ko lang daw yung product and give a review.so parang ipopromote ko lang yung products nila.55k yung babayaran ko pero lahat ng maiiuwi ko na products are worth more than a hundred thousand.no joke,halos lahat ata ng nasa stall ibinibigay na sa akin.plus may vip card.tempting kasi super dami talaga nung products.pero sabi ko hindi ko kaya yung 55k.tapos nagmark down pa siya hanggang sa umabot kami ng 25k.parang it's now or never yung offer.pero buti na lang nanindigan ako sa 'no' ko na answer. php20k, then 10k hanggang sa umabot sa 5500php. And worse, I already purchased the peel for 6700 ealier. Naka ilang tambling din yung price. After the transaction mga ilang oras din akong natulala. May mali eh. Until I googled for some answers. Panloloko talaga. Ok lng if we spend basta tama lng ang presyo. I hope they get what they deserve. Ah kaya pala. I saw Black Pearl when I searched before. I thought that was what I got. I have purchased a product from them yesterday... i was given a big discount by the owner, From 17k to 6k. I tried a sample on my skin. It's good since i also tried high end products. I still have to see the effects after few months. kakabili ko lng ngaun at naiiyak tlg ako s katangahan ko after ko mbasa to! Try to contact your credit card provider. Join the FB group mentioned sa comments. They are very willing to help and provide tips kung pano mababawi pera nyo po. Hi! Ask ko lang po. Kung nabawi mo yong pera mo at naibalik mo ung items. Sakin pa kasi lahat ng items. Hindi ko pa naggamit, ngbabalak ko na ibalik. Hindi ko sya binalik. Di rin ako nagpa-refund. Ginamit ko na lang. :( Tagal na kasi yung issue ko. Etong mga updates sa comments, recent lang sila. Naibalik po ba yung pera nyo dito? Parang feeling ko din kase na budol ako.. parang ang dali kong napapapayag sa 6700 na amount for manuka honey and day cream..then sabi may free facial daw.. after nun di ako makapaniwala na binili ko un..sabi ko nalang need ko makuha ung free facial at sayang naman... then nung pinuntahan ko..un nga na facial naman kaso may inalok na naman sila na black pearl set daw.. worth 72k ...wow ha.. ang mahal nun ..sobrang kulit nila as in.. buti nalang before ung facial kasama ko si bf.. pinatabi ko sa kanya ang wallet ko and credit card . Sabi ko sa kanya wag sya masyado makikipag usap sa sales person... Thank God di nila ako napilit sa 72k... pero nanghihinayang pa din ako sa 6700 kase parang wala namang masyadong effect/changes..
Aw.. Haha nkbili ako knina worth 2500 nmn unh sakin ung jericho pomegranate ewan ko dti dnadaanan koln yan inofferan pko bg 16k daw cbi ko la ako money lnya pde ko kya to ibalik ..
Hello! Try to join the FB page (see comments). May mga tips dun kung paano pwedeng ibalik at mabawi ang pera mo (if ever kaya pa). Good day. I experienced the same thing yesterday. Bought the manuka honey exfoliating cream then they offered me free facial. Since they learned i was getting married they did the same thing of offerring me alot of freebies and that vip card for 67000 but my card only allowed 30k. Should i still go back to settle it? They said the freebies will be given to me after i gave the balance. They only gave me the 4 natural botox products. Thanks! May Facebook page (somewhere sa comments) where you can ask for help on how to return the items. Some of them were successful but the process isn't easy. It involves DTI, lawyer assistance or what not. Hello po, May nakagamit na po ba sa inyo ng Origani Manuka honey peel for 3-6 months na po? May visible effect po ba? Nakakakinis po ba talaga yun ng mukha especially acne scars? Mapimples po kasi mukha ko kaya mabilis po ako maencourage na bumili. May nagoffer po sa akin ng 5k na origani manuka honey peel with free jericho acne soap. Nakuha ko p lng po yung soap, dahil nagdown n ko ng 1k, iniisip ko po kung kukunin ko pa ba yung origani manuka honey, eh hindi naman po madali makaipon ng 4k. Any experience po with origani manuka honey peel? Should I buy po, o huwag na? Huwag na po scammed po ang Organi. Request to join the Facebook group of other buyers. Some were able to get help from DTI. OMG!! I just bought origani products just today. Feeling ko naloko ako. 30k din nakuha nila sakin. Pang Birthday na sana ng baby ko yon. Pwede ko ba ibalik yong products nila. Hindi ko pa nmn nggamit, at credit card ang gamit ko. Hi! Same experiemce here in Festival Mall (Cinderella Boutique). I was just passing by to go to a bakeshop then nagdemo na sila. Sobrang convincing talaga since may result talaga. Ung BIO MARINE MUD MASK ang inoffer nila sakin since may mga blackheads daw ako. It costs Php 4,800 then I refused since I dont jave a budget. After awhile sabi ni TL he will just give me the morning cream for 50% off then the night cream for free (each cost 4.8k) sabi ko wala talaga.. Pero si ce gusto ko daw talaga nung mask, he will give it for 2,400 nlng them free na ung dalawang cream. Malapit na talaga ako bumigay pero napaisip ako kasi bibili ako ng cake for my son's birthday na worth 3k kaya I cant really afford it. Then nagbigay sila ng contact no.sakin para if ever ready nko bumili mainform ko sila para may discount parin. 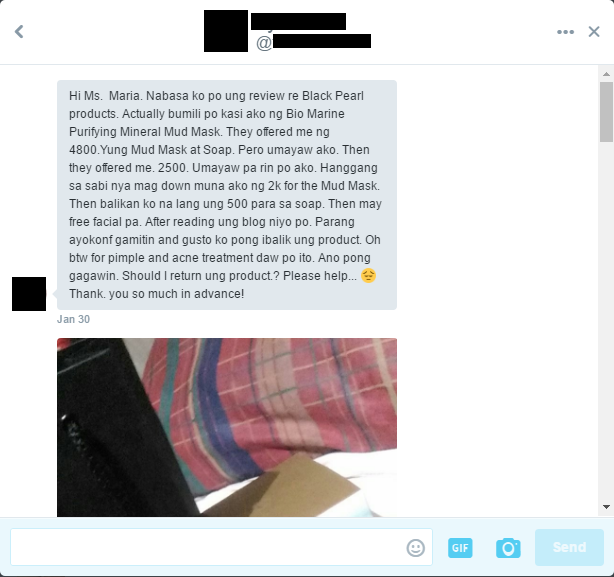 This happend last Feb.14 - valentine promo daw..
Pero eto ang nakakagulat, nagsearch ako about this and may online shop na from Israel talaga and kasama sa products niya etong SEA OF SPA and BLACK PEARL (they are under one company), nagcocost lang siya ng 400php pag kinonvert, so parang napaisip ako na sobra naman ung patong nila then nagkaron ulit ako ng URGE na magsearch sa EBAY. Nakita ko USD13 lang siya around 600-700 lang kasama na shipping fee. So I order na. Biruin niyo ilang Bio mArine na mabibili mo sa Php4,800 then I saw the Black Pearl din sa EBAY (the one that cost 500k on the boutique), guess what.. 50k lang siya dun then sa Israel OL shop aroumd 20-30k lng.. So kaya wala naman akong regret sa pagbili ng Sea of Spa Bio Marine since 600+ lng bili ko saknya and di ako nagpaaffect sa sweet talks nila..
Any update sa case nila?? hi. i got lured to buy from them amounting to 60k yesterday. i called my credit card company, it was already posted. I need to talk to the merchant na daw. Problem is baka imbes na maging firm ako sa right ko to return the products, mahypnotized ulit ako to buy more... what should i do? Be very firm in your resolve. Yun lang pwede mong gawin. Join the FB group listed sa update on the blog post above. They are more than willing to help or at least give advice. we buy the products 2 days ago worth 67800, with 2 sets the black pearl capaules, black pearl preatige mask , face and eye serum, mud mask and the manuka is it worth the price ?? but what im worrying about is the payment we swipe it in bdo card of my father is there a chamce that they can double charge the payment without our prior notice ??? They won't double charge you but the products are overpriced. Try to read other people's comments here. Join the FB group po. May mga nakapagbalik naman. They post updates dun. Join the Facebook group mentioned somewhere in the comments. Dun kasi sila nag-uusap. ganyan din nangyare skn kahapon ung lalaki foreigner kapangalan ko daw asawa nya, im look younger daw s age ko, bibigyan nya ako malaki discount at my freebies, ganyang ganyang talaga pa eme nila tapos sasabihin ng sales lady sir are you sure you will give her big discount? buti n lang hindi ako bumili. Omg! Marami na pala naloloko jan sa SMbf kung ganon lalo kung d ganong aware at madaling ma convince like me...sana ma stop na yan.. Ung ginawa sa yo ganyan na ganyan acting nila sa amin ng friend ko.. Same thing happened to me. I purchased manuka peel for 6700 when they offered free day cream which costs around 8k. They even offered free facial for 2 using their botox line which products cost 67k. The result was instantaneous. We really saw the result - pores reduced, laugh line reduced, eyes lifted. Then they offered to give us 2 sets of the botox line plus 10 other Sea of Spa items plus vip card with unlimited botox facial and free 60 rf for 3 years for 2pax for only 60k. Because we were impressed by the result of the facial plus the convincing power of the isareli owner, we purchased total of 66,700. She even offered she will pay for the interest on the credit card if i opt for installment. After they swiped the card for 60k, the israeli owner said she wanted to pamper us so she even gave us gold facial (worth 22k) for 2 for free! Again we were impressed on how it works. The israeli then offered the gold cream (worth 168k a bottle) plus lifetime membership with unlimited gold facial and unlimited rf for only 40k!! We said NO this time. When i got home i am itching to know the product for some reason and found this :( I just called my cc provided and was advised that payment has been posted to the merchant already. Anyone who can give advice on how we can claim our money back? I really do feel their marketing is misleading its customers. Sa Glorietta 3 po ako bumili,yung Bio marine mud mask legit po ba yun? Legit po ba to? Tpos yung bag nila is black pearl nakalagay, na scam ba ako? ako din po victim. sa sm north the block. i used my credit card to buy the products they offered to me. it cost 19k plus. payable in 6 months 'coz i can't afford the price in cash. nakapagbayad na ako ng 1st payment ko na 3,166.67. is it possible na mabawi ko pa ung pinambili ko? but how? Join ka sa FB page na nasa comment. The members are very helpful sa mga ganyang issue. hi, i experienced bad sa biomarine staff. they offered me the black mud and the moisturizer the staff who approach me is mabait except for the team leader when she noticed that i cant easily be deceived she push me away na parang aso, i almost like the black mud and will surely come back sana kaso yung ginawa skin ng team leader nila and the reviews here make me decide na wag na talaga bumalik. thanks for your review marami kang matutulungan para di sila maloko.. Yesterday napunta ako sa sm bf paranaque dumaaan ako sa store nila sea of spa at may kumausap skn na foreigner na lalaki magaling sya mag sale talk at mukha sya mabalit katulad ng sale lady (manager daw ung foreigner) sabe ko masyado mahal nasa 6,700+ ung product bibigyan daw nila ako malaki discount basta i offer ko daw sa mga kaibigan ko nagulat ako sa laki ng disount pero sabe ko wala ako dala card at malaki cash supper convince pa rin sila ang ending binigay skn ung origani bip balm at resibo amount 6,700+ pero 500 lang binigay cash ko balik daw ako para makuha ko ung 2 product at with free facial something worth 5k daw for free. Buti na lang 500 lang binayad ko at nag research muna ako hindi na ako babalik dun. I was just in SM BF this morning headed to Watsons but this girl approached me and tried their product on my skin. The result was noticeable and they were kind naman. I just don't know how they were able to convince me to buy the expensive product because I am too kuirpot. The original cost was P6700 and the Israeli girl named Isabel gave it to me for only P3000. Of course, anyone who was offered more than 50% discount will buy it. Same as others, they also offered me free facial but the sales agent told me that the store was full during that time, I texted her just now if they're full this afternoon, I haven't got any reply yet. They seemed equipped when it comes to skin care the sales agents and the Israeli even discussed about pigmentation and so on, in short they were convincing. My only concern now is that, is their product effective or not? was it worth the price? I am using natural honey that can be bought in Batangas for only a hundred pesos for one bottle and it's really effective. I don't know if I should return the product or see it myself if they have a good effect on me. I am just sad about the comments of others because their experiences were all the same. I hope that they don't deceive people purposely. It's hard to earn money in the Philippines and as for me, I only buy products that I truly trust and use. See if you can return it. Based on my experience, yes, the items work but the price isn't worth it. I just bought the mud mask for 2400 yesterday. After reading the comments on this blog sobrang nagsisi ako. Sobrang nakakapressure un saleslady. I know the price I paid is nothing pero may chance pa ba na marefund yun. I don't know what I will do with the product. Anyone here tried using the mud mask? Any feedback on this? The mud mask feels great but it's too expensive for what it's worth. I'm too speechless right now after reading all the comments here. Lahat ng experience nyo with the israeli saleslady and the girl na pinay are the same with what i experienced. Literal natulala ako after ko sya bilhin tapos ngayon ulit. Kung totoo ngang scam to at malakas kutob ko na scam nga kase pare parehas mga experience naten, hindi ko ma imagine kung bakit nila natitiis manloko. Lalo na ang pinay na yun na kasama nung israeli girl na kapatid daw nung isa pang israeli guy. Nakaka hypnotize sila. Kahit 3k lang nailabas ko which is nothing compared with your 67,800+ pesos, i still feel na naloko ako ng sobra. Naaalarma ako na parang itinuro na sa kanila itong strategy na ito with the intent na manloko. Dapat mapigilan na sila to do these things to the consumer public. Ako nung last April 24 sa SM BF. Dumaan lang ako sa my booth nila papunta sa uniqlo then my binigay yung pinay na flyer sa akin. Tinanggap ko naman tapos kinonvince niya na ako na itry yung sample nila. Sabi ko, next time nalang. Tapos paglabas ko nung uniqlo bigla nalang my pumahid sa kamay ko nung moisturizer tapos yun na nag demo na siya. Hanggang sa sumama na ako dun sa kanya sa booth nila. Nandoon yung israeli na babae na owner daw siya. Tapos grabe na yung pag convince nila sa akin. Nag refuse pa nga ako then sabi nung israeli kunin ko na daw yung isang product worth 6700 then siya na magbabayad nung ibang product na ino-offer din nila. Parang pinaparamdam nila sayo na "special" ka kaya binibigyan ka nila ng privileges. Grabe sa kakuriputan ko na to, na convince nila ako sa product worth 6700. Eh kahit nga sa watsons parang ayaw ko bumili ng mga high-end na products dun na mas mura naman compare sa produkto nila. Tapos my free spa daw ako worth 5k. Then dun ka na nila ibibiktima ulit by convincing you again to purchase their products & services worth 67+k. Yung israeli lady kunwari nagbibigay pa sa akin ng "discounts" from almost 200k magiging 67k nalang. Sabi ko wala ako cash na ngayon at yung credit card namin mag asawa hindi ko dala. Sabi mag debit nalang daw ako. Lilimasin pa ata laman ng atm namin. Na alarm na ako nun, kaya nag alibi ako na wala ako dalang atm din 2k nalang cash ko. Tapos nagdabug na yung israeli. Binagsak niya na yung pinto. Ang rude niya nga talaga. So para makalabas lang ako ng spa nila nag down na ako kunwari ng 1k. It was my first time na ma scam and the feeling was worst. Sana magkaroon ng justice sa ating lahat na naloko nila. Ayyy.. Jan kami nabiktima ng friend ko last week at yun din 67k pinapabayad sa isang set nila tapos ang daming binigay na DC daw saka cards good for a year daw na gagamitin tpos ung mga pinay sabi swerte daw nmin kc minsan lang andon ung mga Israel girls dami daw nmin discount pero naloko kmi ng 25k iba lang ung tig 3k kmi ng friend ko na cream.. Naka ka regret sayang ung pera..
Hi,, i think na biktima din ako nila..it felt like nabudol2. I am just passing by their stall in greenbelt 5 when unfortunately they cornered me. The isralite girl and her assistant talked me out in buying the product worth 6700.. now i keep on thinking y i bought it when in fact that money was meant for something else.. im planning to return the product tomorrow and get my monry back.. help plsss...what to do? The same thing happened to me last month.�� They even told me to come back for free treatment. Do you have their number? One saleslady gave her number to me. She's replying at my messages at first. After I told her I read a blog on complaints about how they sell bio marine products, she didn't reply anymore. I spent 2400 for the biomarine mud mask. Hi ! Same thing happened to me yesterday. Active pa ba yung facebook group? I need help. It's somewhere in the comments. Pakihanap na lang. Thanks! OMG! I thought ako lang nakaexperience nito. Bought mine last year and I want to get rid of those cosmetics that's why I am looking for people who are interested to use it. Pero itong blog na to ang nakita ko, and a group of women who went through the same trauma I had. Hindi ko makakalimutan, I spent 50K for those products. And same din po ng experiences nyo na kahit alam kong ayaw ko sya bilhin, hindi ko alam bakit ko sya binili. And right after ko umalis sa store nila, natulala na lang ako at hindi makapaniwala sa nangyari. I cried, para akong natauhan pero mas nanaig ang galit sa sarili na bakit ko to binili. I don't think makukuha ko pa yung pera ko since 1 year na ang nakalipas. Still, I want to join you with your complaint, hindi para makuha ko pa yung pera ko, kundi para mabigyan ng pansin ng government ang hindi magandang practices ng business na to. All of us were deceived and they took our hard earned money. It's traumatizing. And I hope DTI can put an end to this type of business. hi mam...ganyan din nangyari sa akin ..last december..sa Alabang Town Center..thenext day tinawagan ko sila para ibalik ung products..sabi hindi n daw maibabalik..habaan n lng daw ng terms ung installment ko sa credit card..pero wala din nangyari...75 thou ung binayad ko..hanggang ngayon sisingsi ako sa ginawa ko pagbili ng products nila ...base sa mga comments..ung mga staff nila..ganun n ganun ang strategy..puro freebies at discount..trauma din po sa akin. Same here, I spent 53k po kahapon. At natulala din ako nong pauwi na ako nong narealize kong gumastos ako ng ganon ka laki. After ko nabasa to, I'm still hoping na ma refund ko yong pera ng isang item na ibabalik ko bukas. I also was very regret after i bought their product, even though it is payable by 24 months, for p 16o,ooo divide in 24 months, almost p 8,000.00 din mawawala sa akin monthly, may paraan pa bang para maforfeit itong deal? Try joining the FB group about this (it's somewhere in the comments). Some of them were able to have their credit card payment reversed. Mud. When I got home I googled into it. I found out the amazon price is only $15. I never opened the product. I immediately texted the sales lady. I told them I will return the product and get some other items from Cinderella instead. They replied that it can't be returned anymore. Is that true. What's the fb link? I really would like to return the product. I know it's just 2400. But 2400 is 2400 especially if I feel I have been scammed with the fake discount and everything! What's the fb link please? I really would like to find out how I could get my money back. Thanks! Sorry to hear that. The FB page is somewhere buried in the comments. Let me look it up and post an update to the post so you guys can see it right away. Good day. we have been charged today at SM North Annes for 110k into two separate credit cards of my mom. I've just read about this blog when we got home after we've made the purchase. Please kindly help us on how we can return and get a refund? We are also worried that they won't keep their promise of 0% for 24 months and will be charged for another 30k. Please kindly advise and help us on what we should do. Thank you and God bless. Omg!! Any update sa mga nakabili? Kakabili ko lang ngayon. At ginamit ko nrn siya. Sana pala umalis na ako kanina or ung creditcard ko na max out and pinaswipe. Para wala silang nakuha. Pagkaalis ko sa area nila para akong natulala at napatanong sa sarili ko bakit ako bumili ng ganun kamahal. At tama ba ung ginawa ko. Pasali din po sa fb page. Hello .. Empleyado po ako ng Origani/ Organi/Black Pearl/Sea of Spa/ Jericho/ Beauty Republic o ano pa mang tawag sa company nila , pero nagresign po ako last month lang sa kadahilanang mapang abuso sila sa kaltas ng sahud at marami narin ang nagrereklamo sa company nila nakakatakot na baka pag Hindi p ako umalis ay idamay na din ako sa kaso ng mga maging kliyente ko sa galit nila .. nakakaawa ang maging customer at maging employee nila . dalawang buwan lang ako nagtrabaho sa kanila ,pero kung sakaling may maitulong ako sa mga sinampa niyong kaso sa kanila .. just let me know . Hi! I hope active pa kayo dito. 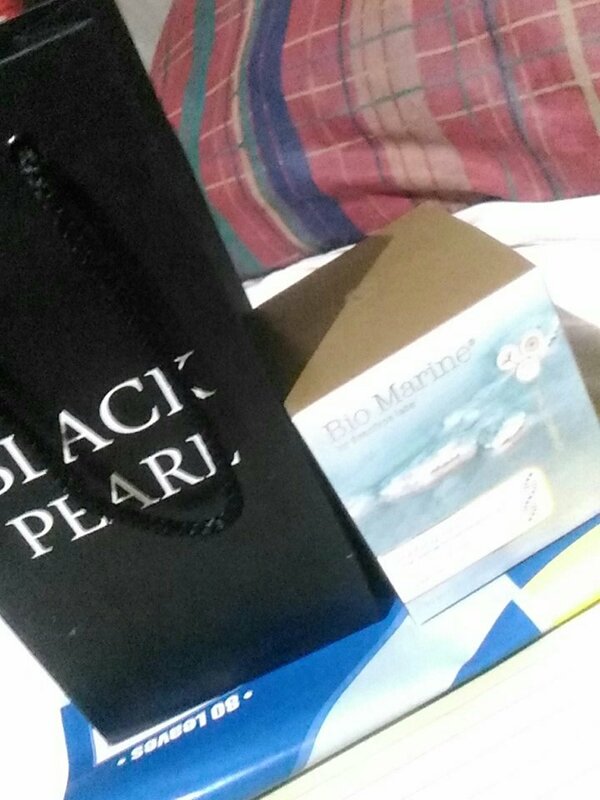 I bought Bio Marine Day Cream yesterday for 2,500 pesos. Then ayun nga po curious ako sa product so I tried google until makarating ako dito. In some websites nakita ko nga po na $12 lang sya. I feel na sobrang lugi po ako. What to do? Saang mga branches ng sm din po pala kayo nakabili? Tska ORGANI din po ba ung pangalan ng pinagbilan nyo? May Facebook group na nag-uusap about dyan. Try to see if you can join. May requirements nga lang sila (like receipt etc.) bago ka makapasok. Hi, I got mine at SMbf paranaque naunang inentertain ung friend ko habang wait nya ako ayun napabili Kami ng origani nature's gentle exfoliator worth 3k. Ung the rest na binayaran ko worth 25k is the day and night cream origani na tig isa kami ng friend ko. Oh my God! Nabiktima din ako just today sa Glorietta, wala talaga ako balak bumili pero masyadong mapilit yung sales lady name nya Rowena at yung Israeli named Eddie, i was offered the mud mask for 4800 tapos may free na night cream and seaweed soap. They tried yung parang RF sa face, dami nya hanash he doesn't need my money daw, pero sinisingil ako 60k para dun sa product na yun and gagawin daw akon VIP member, nung nagsabi akong No, nag offer ulit sya na daw bahala sa 3p5k ako nlang daw dun sa tira which is 25, buti nalang hindi ako napilit. Kaya 4800 lang nakuha sa akin. Pero gusto ko maibalik yun pati ang pera ko dahil i saw it online nasa almost $10 lng yun so mga 500 pesos lang. Hi, I just want to share also my experience at the mall last Friday that ends me paying 25k for 2 night cream and 2 day cream for me and my friend. At first they showed us the cream worth 3k which is good for 1 year and well I thought it's quite good at least it takes long to use so we paid in cash right away . But when they convince us to take some skin care at their shop they started to apply and showed us the difference and the effect until they (foreigner Israeli girls) continued to give us some discounts and different freebies esp the card with her sign. The shocking is it cost 67k and they ask us to pay credit card if we can't pay it in cash. Since they saw my bank account and the content they advice me to pay all of it in cash and will get back that cash after I bring them my credit card. I don't have any card and I need to make one but in my case now I can't. I was confused and we talk quite long cuz I don't want to pay all in cash though I had already withdraw the money. So it ended like paying them 25k for 2 creams instead and didn't give us the whole set. I think the product is also good but it's really really too expensive and you're like forced to buy. Same thing happened to me just of today july 1 at glorietta 2... though i only payed 3 thousand pesos using my cc and is payable in 6 months from the original price of 6700 for the cream and 2500 for the soap..but still its a big amount of money compared to the price of some drugstore beauty products... sad to say before i came in and read this blog i already opened and used the cream on my face so no way of returning it to them and get my money back..naiyak na lng ako. only i hope and pray that this will works for me. Oh GOD please.. now i feel so damn stupid.. after reading all your complaints.. nasa huli talaga ang pagsisi! WAHHH. Naloko ako kanina sa Glorietta 5. Nacurious ako sa brand so I researched muna bago gamitin yung mga nabili ko. But I can't beleive it, naloko ako. Kahit Php5,000 lang yun, it's still my hard earned money. nakakalungkot bakit may ganito. What I got was Delicage peeling mask, night cream and mud soap. Kala ko i got huge discount yun pala, ako yung naloko. This is my first time maloko since I usually don't entertain too pushy sales person. tsk tsk tsk. Anyways, effective ba naman ba yung products nila? I personally enjoyed the mud mask. The rest are just okay. I don't know if it works for others though but in general, all items were quite overpriced compared with the usual price you'll see online for the same item (although you may want to consider customs fees or what not). Hi maria! do you know what particular brand their facial massager(worth P11k daw per session) . the Israeli lady convinced me to buy it for P80K with unlimited products of my choice every time i visit their store. it seemed their strategies are similar after i read the comments above. I almost purchased it considering the freebies i am getting. Good thing i quickly leave to catch my flight. but sadly i shelled out P6,700 for the Manuka exfoliator w/ freebies. There is something fishy of the product prices. I'm so glad I read your review and everyone's comments before using my purchase from them. I can't believe I fell for all their sales talk since I'm very kuripot and rarely entertain sales people. They offered me the Bio Marine Pealing Mask with free soap and day cream for 6,700. The Israeli salesperson even added a free facial. I thought it was really cheap then but I feel so stupid right now. :( Was anyone successful in returning their products and getting refunds? Would really love to get advice from you on how to get my hard-earned money back. May mga successful based on testimonies dun sa Facebook group mentioned above. I have no idea about the facial massager. See if there is any brand name so you can compare it online. Hi any update po regarding sa issue? Ako naman po sa glorietta nabiktima. Una hinarang ako ni ate girl ung sales lady nila nagbigay siya sakin ng maliit na soap then ako naman kinuha ko. Tapos hinabol niya ako sabi niya mam eto try niyo din toh. Hanggang si pinasok niya ako sa loob ng shop nila sa cinderella then ayun na lumabas ni ateng foreigner. Then nagtalk na siya sakin. Hanggang sa binigyan niya ako ng free facial treatment sa halagang 11k basta bibilhin ko ung product na 55% discount na daw para sakin which is 3k na lang na dapat 6700 ung price. Tapos si ate girl na sales lady sinasabd niya sakin "swerte mo girl, kunin mo na yan. Ikaw lanh binigyan niya ng ganyan kalaking discount blablabla" ayun hanggang sa napaswipe na ako sa credit card ko. Ang worry ko lang baka gamitin nila ung credit card ko ng wala akong alam at malaki na pala bill ko. Huhuhu and ung product pala na tinary sa arm ko nagkarashes ako. So ibabalik ko sa kanina since di ko pa nagagamit or nabubuksan ung product. May proof din ako na may rashes ung arm ko kung san nila tinary ung product. Wish me luck sa friday ko sila babalikan. Sana marefund ko pa.
Kumusta naibalik mo ba and did they refund your money, thanks. were u able to return and get your refund? I was able to return the products and got a full refund. Can we still join the class action? Check out the Facebook group mentioned. I think they have organized one. Buti nlng hindi ako nadala sa sales talk ni ate i know how it feels to convince people since i am a life insurance agent. To be honest muntik na rin ako mabiktima but in the end i managed self control and sabi ko can i think about it first just like how i let my clients decide on my offer. And ayun nangiti nlng si ate. Nanghinayang sa benta. would anybody know their (origani, black pearl, organi) main office is located? address? thanks. 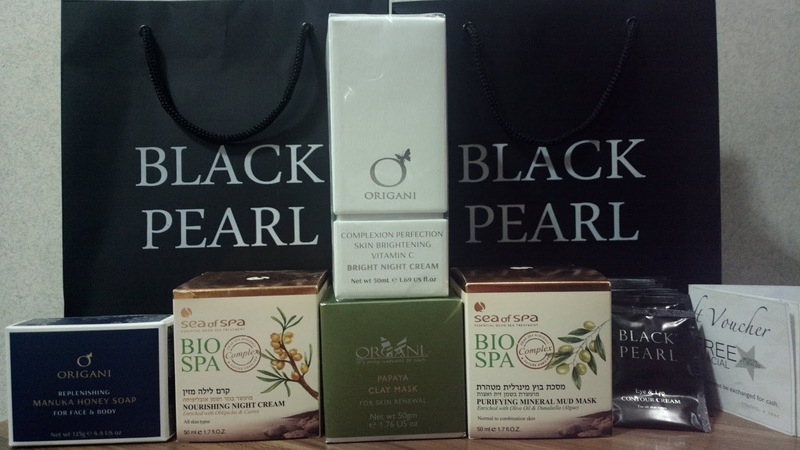 anyone who knows their (origani, organi, black pearl) main office / address, other than their mall kiosks? thanks. Same yung experience ko here. Last Sunday ako napabili sa may Venice Piazza. Sobrang nakakahinayang. Gusto ko rin sana magreklamo kaso hindi ko alam kung paano. I tried to visit the link of the FB group kaso I don't know how to join. I do hope na matigil na sila sa deceptive marketing nila. I'm one of the victim them. Grabe sila kakulit they gave free botox nila daw and they started convincin me to buy. Told them its my priority but already bought 6700 worth of products. I told the filipino staff who was assisting me that the way of their markerting and selling will left their clients bankrupt. I think he felt offended kasi when the israeli lady start talking to me again the guy saying otherwise already. Is there anyone here who was able to return the items and had their Cc purchase reveresed.when I got home parang dun ako natauhan i need to return it. i called my CC company but they told its already posted and the merchant has to be the one to make the request of reverse.i called the pinoy guy who sold the items and he said d daw puede ireturn. What is the best thing to do kaya, somebody help please, shelled out 48k. Did you open the products? I got to return the unused products and got a full refund. Me! I didn't opened the products yet (and never will!) I did used an ATM debit card as mode for payment, is there a chance that I can request for a full refund, and where will I send this request? Hi same thing happened to my mom. nakabili din sya ng products around 40k. We tried to return it earlier pero di sila pumayag. Is there some way na ma refund namin ung pera? Ganyan din po nangyari sakin, sa Solenad 3 Nuvali. Ang kulit nila. Napabiki nika ako worth of 3,000 Dahil sa freebies free facial or botox. 2 times ko pa lang sya nagamit and hnd ko parin na avail yung freebies nila. After ko mabasa ang mga comment dito. I think parang ayuko na din gamitin product nila. Anu po gagawin ko? Sayang din yung 3k ko. Hnd ganun kadali kumita nang pera. OMG. I was a victim also, kahapon lang po sa SM Bf. I was offered 50% sa origani honey peel ng Israeli guy, so kinuha ko, tapos ayun na may free facial daw. Nilapitan na din ako nong Israeli na babae, pabalik-balik sya habang nagfafacial yong pinay, Nadala ako don sa technique, she offered me na maging project nya daw, binigyan ako nong freebies but in one condition i need to buy the black pearl capsule and the clay mask w/c worth P67k, napapayag ako, pro nasa 50k lang total na nabayaran ko kasi nasaas card limit ko. she even hugged me and all,so na overwhelm naman ako.Pero parang duda na ako sa pinay kasi prang normal ng nangyayari at nagiinarte lang. Tapos nong pauwi na ako feeling ko prang lutang ako na prang na hypnotized. My god, after I read the post and the comments right now, nanlalamig ako, so I was really a victim. Any suggestions nman po if ano gagawin ko. Isang product na lang na binayaran ko ang di ko naoopen, should I return it po ba? Please help. Thank you. Hi po, update ko lang. Hindi na daw pwdeng ibalik yong product, so I make use of it na lng, lalo na yong sa RF, nagkunwari na lng akong walang idea sa modus nila. Pro ngayon po may napanood akong video, yong kay raffy tulfo, oro gold na man na company, sinampahan na din sila ng kaso dahil sa style nla sa pagbebenta. Sana tlga matigil na yang ginagawa nila. I feel all of you guys, last Sunday at Fairview Terraces, one of their agents talk to me. Sabi sa akin sandali lang daw, then kinausap ako ng owner daw na Israeli, then usap-usap, then inoffer sa akin yung Bio Marine, then I was just shocked na yung parang naging impulsive ako, knowing na di kasali yun sa budget ko. Almost my total amount ng sahod ko na naibigay ko. Madami silang inooffer, naisip ko lang di to priority, may nakuha na sila na 6k sa akin, sa ewan ba gintong peeling mask. It's been almost a year now since I bought their products. I used them only once because it's too oily. Tightness of my skin was lost, my face looked kinda fluffy. I was only convinced to buy them because it's organic and I'm allergic to cosmetic products. I still believe I was scammed because the VIP Card they gave me was not honored. Yes I was so wrong.... and yet it's water under the bridge. Now I found the perfect product for me, i got my money's worth. I returned the products to the merchant with all the photocopied receipts, charge slips and merchandise return letter. I have the letter signed and acknowledged by the personnel with the highest position present at the kiosk. I also requested for the mall concierge and security's help to witness the arrangement with the merchant. The mall management asked me to formally file a complaint and the closure was also monitored by the mall management. Merchant agreed to give a full refund. They filed it directly to the CC provider. I had a full refund one week after I returned the products. Hi delta kappa, you said that the management asked you to file a complaint. May i ask, what was your stated reason for returning the products? And where did you file the complaint. I just want to share with you guys. I also bought their products worth 67k, swiped at my credit cards. But I managed to return the products the very next day. Luckily, Nuvali management was able to help me settle my complaint. I got the charges from my cc providers reversed in 1 week. If I can be of help to you, let me know. I hope you find justice as well. Damn, nabiktima din ako ng mga to, I was strolling around SM North just to buy a damn mouse for my pc, and then one of thr staff approached me and tested their manuka honey peel to one my left hand, and then there goes their magic speech. And I just impulsively used my ATM Debit Card. And thank goodness that I haven't used the products yet (manuka and protective day cream), is there a chance that I can request for a full refund despite using my debit ATM card for payment? And thank goodness that I haven't used the products yet (manuka and protective day cream), is there a chance that I can request for a full refund despite using my debit ATM card as mode for payment? Nag email na ako sa DTI and nag reply sila sa akin, and they said that my concern will be referred to DTI-Fair Trade Enforcement Bureau. They already sent me the complaint form and will do so since I have the products along with the copy of my receipt. I suggest to email them (ask@dti.gov.ph), so that malaman nila ang modus ng mga sellers na to. Hi. Yung mom ko hindi naman bumili ng products pero she availed yung inooffer nila na unlimited free facial and slimming na for 2 years daw iyon, pwede magsama ng isang family member or friend, libre na. Yung friend kasi ni mama ilang beses na siya naisama magpafacial doon kasi member din siya. Idk po, yung friend kasi ni mama half a year na nagpapafacial dun, mukhang wala naman pong reklamo, kaya naconvinced si mama. Mga nasa 60k+ yata yun pero good for 2 years. Sana maging worth it naman yu pero I told her na wag na bumili kung offeran siya ng products nila after ko mabasa reviews ninyo. Kakaavail lang niya so nagresearch ako agad. I'll get back to you po if naging okay (hopefully naman) or kung may problem. Hi my mom bought products last week for around 40k. Sabi nya ganun din ung nanyari sa kanya. She wants to leave the store na, but they won't let her. They were very good at this strategy. Gave her many discounts/vouchers and made her feel special. My mom was so stressed because they were stalling her that she eventually agreed to buy the products. Just today we tried to return the products and ask for a refund. But they won't agree. They suggested to prolong the installment of payment. Is there still anyway to refund the products? I looked for the FB page mentioned above but it was no longer available. For this concerns, they are very open. Hi. I bought the mud mask just now here at Glorietta. They offered the mud mask for 4,800 at first plus a free moisturizing cream but I declined since it's way too expensive for me. Then they offered me another deal, I can avail the mud mask for only 2,400 with a free facial and I was so amazed I purchased it. I am planninh to return the product today too and I'm hoping that I will get a full refund. Hay. Hassle.